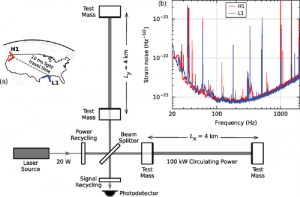 On August 23, 2002, the Laser Interferometer Gravitational-Wave Observatory (LIGO), which consists of two multi-kilometer-scale installations in Hanford, Washington and Livingston, Louisiana achieved first light. The experiment, conceived and operated by Caltech and MIT, aims to directly detect gravitational waves, or “ripples”in the fabric of the cosmos generated by accelerated masses. It is to be the tool to prove Albert Einstein’s theory that the most violent and energetic processes in the Universe, such as a stellar collision, will create disturbances in the curvature of spacetime. The concept of laser interferometry was built upon early work of several American and Soviet scientists. There have been several prototypes built since the 1960s, with the most notable one conceived and built by Joseph Weber. But LIGO, as we know it today, is a product of MIT and Caltech joining forces, with generous funding from the US National Science Foundation. The project broke ground in 1994 in Hanford, and 1995 in Livingston under the leadership of Rainer Weiss of MIT, Kip Thorne, and Barry Barish of Caltech. Seven years later, the detectors and test facilities began the work (and has never stopped since) of observing gravitational waves of cosmic origin. For the first time in history, we have ears to the universe. Einstein speculated that a gravitational wave will warp space and send ripples at the speed of light. The LIGO detectors are designed to detect these ripples when they pass through earth. The two detectors are huge, L-shaped optical instruments with two arms positioned perpendicularly, running 2.5 miles from a test facility. Lasers are beamed down each arm and reflect off the pure fused silica mirrors or “test massess.” This configuration causes the beams to cancel out each other or create a perfect interference pattern. The result of that is no light would reach the photodetector, another LIGO component that measures varying light levels. A gravitational wave passing through the two facilities will stretch one detector arm and compress the other. The two arms go in an in and out phase with each other in infinitisemal amounts, causing some light to reach the photodetector. These lasers are kept at an extreme vacuum and are supremeley sensitive to movement of 1/1000 the diameter of a proton, which is proportionally equivalent to changing the distance to the nearest star outside the Solar System by one hair’s width. The project’s designers went through great lengths to achieve unprecedented precision. A bulk of their efforts went to countermeasures aimed at canceling external noises, like vehicles trudging along nearby roads, a distant thunderstorm, or seismic waves from earthquakes. This is to make sure that the detectors catch only gravitational waves. One such technique is called seismic isolation. By suspending the LIGO mirrors by a four-stage pendulum, the mirrors are at rest when ground vibrations occur and that they don’t pick up signals from earth. The sound of two neutron stars spiraling each other and then merging into one black hole 1.3 billion lightyears away was first heard on September 14, 2016. Other than the sound waves, the detectors also picked up corresponding wave peaks at Livingston seven milliseconds before they reached Hanford. The cataclysmic merger named GW150914 reached Earth as a ripple in spacetime. This event changed the length of a 4-km LIGO arm by a thousandth of the width of a proton, alerting the scientists who have been hard at work upgrading the two detectors. Much to their luck, the signal was picked up a few days before the initial instrument were to be replaced by a better, more sensitive, and more accurate version. The systems converted the signal to sound waves, which produced a chirp sound, much like a whistle, that increased in pitch and frequency, from 35 Hz to 250 Hz to be exact, as the two neutron stars coalesced. The chirp signal, a mere cosmic whisper, lasted over 0.2 seconds. The interference was nearly perfect, just as Einstein suggested it would be, which caused the scientists to assume that the signal was caused by a deliberate injection. Injections were usually done from time to time by the higher ups to keep scientists on their toes. The project’s heads confirmed that this was not a drill and that the data was clean. Following the confirmation, thousands of scientists who’ve been working at the LSC cheered and capped off a 40-year hunt. The very next day, they scrambled to verify the data and uncover the details of the catclysmic event. 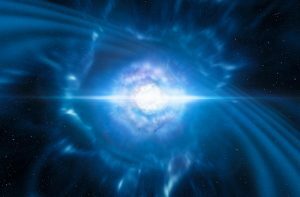 To further prove that the data was flawless, the LSC got in touch with a network of instruments covering gamma-ray, radio, optical, X-ray, and near infra-red wavelengths, that can locate where the binary merger event occurred. 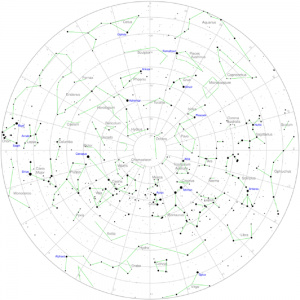 Through follow-up observations, it was confirmed that the event occurred in the Southern Celestial Hemisphere in the rough direction of the Magellanic Clouds. By analyzing the waveforms, it was estimated that the black holes had masses of 30 to 35 times the mass of the Sun. The event was so massive that the final 20 milliseconds of the merger alone produced gravitational waves 50 times greater than the combined power of all light radiated by all the stars in the observable universe. The first detection not only fulfilled the prediction made by Einstein in 1915, it also birthed a new field: gravitational wave astronomy. The proof that gravitational waves exist brings us a step closer to seeing the history of the universe from a new perspective. Aiding the next step is Advanced LIGO, a project which allowed the LSC to modify the initial instruments. The enhanced instruments, which made first light on August 23, 2002, are tasked to observe a bigger portion of the observable universe at a far greater accuracy and sensitivity. This means that a larger volume of space will now be within “earshot” of the LSC. Since then, the project, with help from other similar interferometers across the world, has detected over six catclyscmic events. All of which have ushered in cutting-edge research in astronomy, physics, and astrophysics. With this completely new way of seeing, or “hearing” rather, of the unseeable wonders of the Universe, we can better understand how the Universe, and more importantly, how life came to be.